Don’t be fooled by Gus’s low profile. He is a man with a huge talent and a great history. 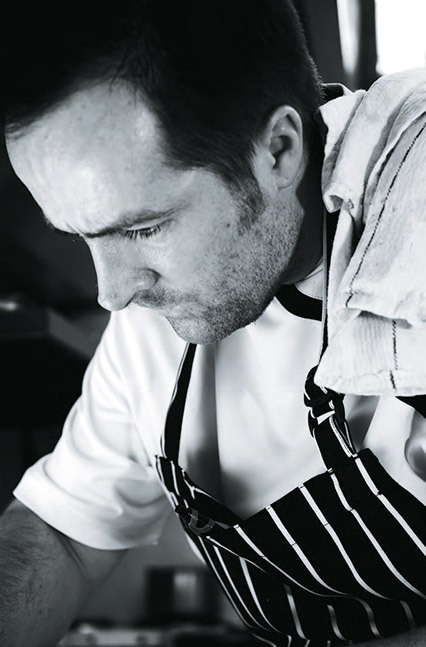 Described by resident Cotswold chef David Everitt-Matthias as ‘an unsung hero’, Gus cooks straight from his heart. He is not a slave to fashionable food and opts for classic dishes where flavour is king. He was inspired as a boy, taking great delight in his mother’s exceptional home-cooked food. A college course in catering led to an apprenticeship at Calcot Manor, in Tetbury, where he met another mentor, Ray Farthing, now of 36 On The Quay. He developed his style in a number of restaurants in the region before going it alone. And the long-term success of Restaurant 5 North Street vindicated his decision to lead his own kitchen. More recently, plaudits have come from the region’s resident two Michelin star chef, Everitt-Matthias, at Le Champignon Sauvage, who adds: ‘He has taken his knowledge and used it to its best advantage by providing a unique take on modern British food’. His great mentor, Michel Roux Snr, holds him in similar esteem: ‘Gus has shown what is possible if you follow your dream’.